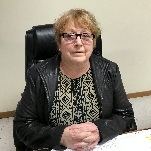 The City Council and Honorable Mayor of Minneota encourages you to contact City Administrator Shirley Teigland if you have any questions or concerns. Please feel free to attend one of our upcoming council meetings or review the minutes from a prior meeting. City Council Meetings are the second Monday of the month (6:30 p.m.). EDA Meetings are the second Tuesday of the month (5:45 p.m.). Both meetings are open to the public and held in the Community Room located in the same building as the City Office.